About 80 percent of the vitamin D we need comes from the sun. The recommended time for sunbathing is at 6:00 a.m. to 9:00 throughout the body for 10 minutes. To prevent the risk of skin cancer, avoid exposure to sunlight at 09.00 - 15.00. Post fish oil supplements a bad taste. However, currently available in the market a variety of fish oil supplements that make it more comfortable on the tongue. 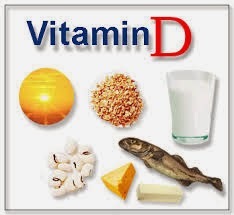 Other than fish oil supplements rich in omega-3, it also contains vitamin D which is quite high. 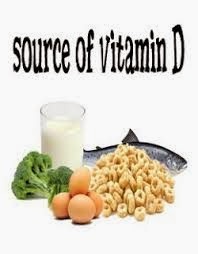 Most cereal products "ready to eat" on the market are fortified with vitamin D. Combine your cereal with milk rich in vitamin D as part of a healthy menu every day. With content of about 21 IU of vitamin D in egg yolks and pure proteins in the whites, eggs are a nutritious food that must be consumed. This includes fish rich in omega-3. Available in the form of frozen fish, fresh or canned. Salmon contain vitamin D were four times more than agricultural products. Tuna is a type of sea fish which is also rich in vitamin D, but also high in protein and omega-3. Cow's milk, whether it is a full-fat or skim, naturally contain vitamin D and is also fortified with other essential nutrients. One glass of milk contains about 100 IU of vitamin D.
Shrimp is a source of omega-3 is high in protein but low in fat and calories. Shrimp served in a 85 g dose contains 129 IU of vitamin D.
According to a study published in the Journal of the Federation of American Societies for Experimental Biology, white button mushrooms exposed to ultraviolet B rays for several hours to contain vitamin D is about 400 percent higher. Double benefit of vitamin D, not only as a reinforcement of bone but also prevention of various diseases is increasingly revealed. To get all these benefits, we are advised to consume 400 IU of vitamin D each day and 200 IU for adolescents less than 18 years.